Assemble the heroes and villains of Marvel's Avengers: Infinity War! From Hulk and Thor to Thanos and Black Panther, many of your favorites are here! Each stylized vinyl figure measures 2 1/2-inches tall and comes packaged in blind boxes. Collect them all! 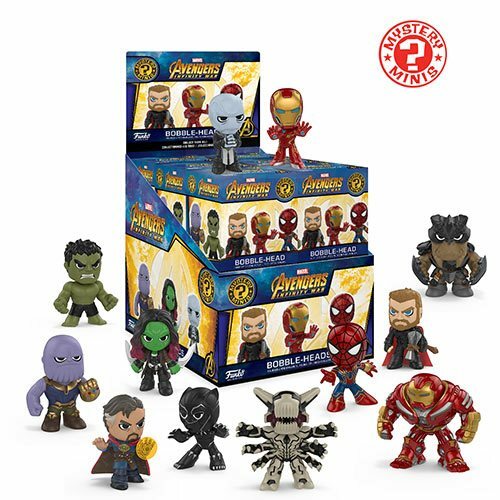 The Avengers: Infinity War Mystery Minis Display Case includes a total of 12 individually packaged mini-figures.